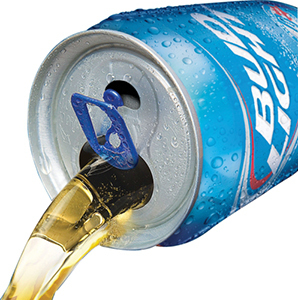 Well, It’s Still Less Filling: Light Beer Falling Out of Favor? Don’t look now, but people are starting to pay attention to what’s actually coming out of those fancy new vented cans. To the surprise of no one involved, it appears American beer drinkers continue to gravitate toward beer that actually has flavor. According to this USA Today story, a new report shows that people are slowly but surely getting tired of the taste of corporate light beer. In fact, the study showed that in June 2012, 32 percent of those surveyed listed corporate light as their beer of choice. This past June, that number was 28 percent. In fact, a number of those surveyed specifically said they were getting tired of the taste. In June of 2012, 33 percent said they thought premium light beers tasted “great.” In June of 2013, that number was 30 percent. I would opine that it’s also trendy to drink something other than Bud Light these days, and as we know, human beings are predisposed to following trends. People purposely wore parachute pants, for crying out loud. And bought Milli Vanilli albums. And with hipsterdom on the rise, it’s either going to be craft beer or PBR for a lot of people. Even a global machine like the light beer industry is going to fall out of favor eventually; people have slowly but surely come to realize there are more and far better options than the homogenized, mass market stuff. But hey, at least it’s still less filling, right?